Greetings to all those seeking for light in a world of darkness. We are now ‘going public’ with information on our 15-year long research project. We will be running a series of 90-minute seminars each month, days and evenings, on weekdays and weekends. We will also offer a limited number of day-long workshops coupled with occult archaeological expeditions to study remote sites in the American Northwest and the Great Basin. These expeditions will be timed with specific astrological cusps (Vernal and Autumnal Equinoxes and Cross-Quarter days), in order to demonstrate the ancient marriage of astrology and alchemy as parallel sacred sciences. These expeditions are absolutely FREE to Tetraskele workshop attendees. We meticulously plan the itineraries, publish this information to those attending our weekend workshops, and we also assist in coordinating travel and accommodations for student-attendees. More on these arrangements and attendee responsibilities can be found on our "Expedition Policies" page . Our first Workshop-Expedition offering, “Occult Alchemy In Pre-Columbian North America” is a sweeping, interdisciplinary program including training on the ancient sciences of alchemy and practical astrology. 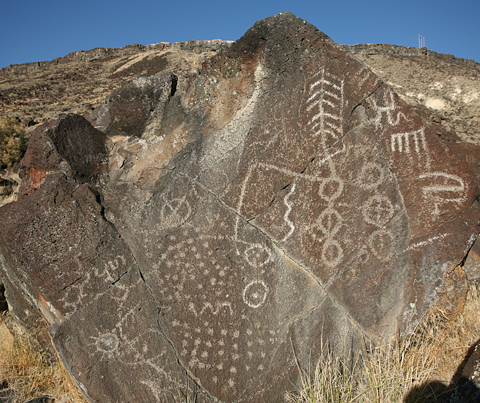 Broken into two seminars, and including actual field archaeology, students will learn to decipher the esoteric ideograms (know as petroglyphs and pictograms) at various sites across Washington and Idaho — artifacts once carved into rock arts sites as roadmaps, instructions, and warnings to fellow alchemists. Linked to alchemical and placer-mining operations conducted here through the millennia, these enigmatic, ideogrammatic symbols and compound sigils, are all the remains of a forgotten, secret New World agenda — the conducted on behalf of humanity, and as a precursor for the planned settlement of the New World (known anciently as the Underworld). This is shown to have been an on-going, secret tradition. Since those participating in this exploration — and the initiation of Ameridians into the ancient esoteric orders of the Underworld — took oaths of silence concerning their knowledge and training (in what was variously known as hermeticism, the Great Arcanum, and so on), this ancient program was unknown to the initiated. This lead to suspicions and persecution of initiates at different times in world history, from the burring of the Library of Alexandria in Egypt, and arson fire set in the scriptorium at Glastonbury, England, to the persecution of the Knights Templar and even the Inquisition. This intensive hands-on review of the pre-history of alchemy integrates a wide-range topics, and examines exclusive evidence never understood until now! Our seminal breakthroughs into the occult traditions once taught clear across the planet! provide an absolutely unique, and coherent basis for understanding the history and origins of Alchemy and Astrology specifically, and the 'Great Arcanum' in the wider sense. This is an extraordinary opportunity for those truly seeking the ancient knowledge as it once existed in the legendary Golden Age! Come with us as we re-trace the "corridors of the Magi," following rock art sites from the Lower Columbia River, along the Clearwater and Snake Rivers clear into southern Idaho, and witness solar archaeoastronomical alignments established to mark the best times to process prima materia 'rock' into the "Elixir of Life." The principle seminar will be held from 1:00pm to 9:00pm, Saturday, August 3rd. This will be followed by a 4-day expedition that will cover petroglyph sites in Washington and Idaho. There is no charge for the expedition, but the seminar is mandatory for a full comprehension of the sites visited during our trip. The basic itinerary is attached, along with a map of the locations visited. Details will be made available to registered seminar attendees. Note: Seminar attendees are encouraged to experience this rare opportunity for actual occult archaeology in the field. It is truly a once in a lifetime opportunity to gain insights into the TRUE history of America, to understand the ancient occult knowledge passed to Amerindian initiates for thousands of years, and to gain a knowledge of ancient alchemy as it was taught and practiced before the advent of history. Details of some of the highlights of this seminal experience are listed below. is a bit complexOccult Archaeological Expedition (August 3rd, 2013, and August 4th - 7th for the Expedition), and this will be accompanied by the updated release of the FINAL (new) www.Tetraskele.com website, including a fully-functional shopping cart. Until now only Spagyric Art's products alone were available online, and even then, that side being 5 years old!!! This was severely limited. In terms of the upcoming kick-off seminar, invitations will be sent (to those on our seminars list) concerning a weekend alchemy-archaeology lecture and field trip weekend (it actually extends from the 2nd of Aug through the morning of the 7th, which is the Lugnasad cross-quarter day) I am planning for August. •Pre-site lecture introducing information on the ancient rock art sites under review during Saturday's Seminar, specifically covering sites to be visited during the field-alchemy expedition. •Tetraskele 'kick-off' seminar: "History, Mineralogy and Traditions of Alchemy: A Quarter Million Years of Occult Traditions." This seminar runs for 7 hours plus 1 hour break (mid-seminar) for dinner [total time 8 hours]. • Attendees will receive a sweeping restructuring of archaic human history from an occult perspective. The pre-history, pre-Egyptian and occult history of alchemy — and its ties to astrology — will be provided, including an overview of evidence for, and processes used in alchemical traditions stretching back 260,000 to perhaps 700,000 years BP (before present). • The various minerals used at different times, and at various locations across the planet will be covered in detail. Never-before understood processes, the mineral nature of the various types of Prima Materia harvested from various locations on Earth, examples of the petrology, mineralogy and geologic processes at work in the formation of Prima Materia minerals harvested by the ancients, will be explored on a case-by-case basis. • Methods of field processing of ores for the production of the Red and Green Dragon "Elixirs of Life" will be covered for various sites in Europe, Asia, Asia Minor and North America, on a case-by-case basis. 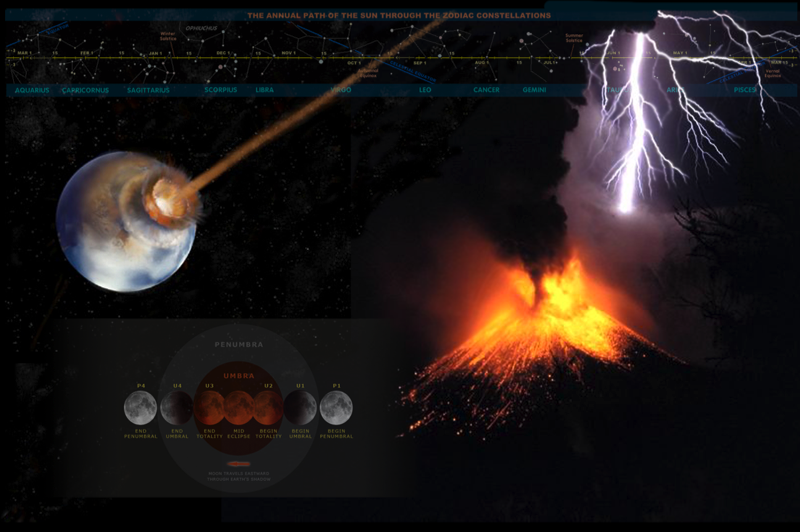 • The astrological connection between planetary-aetheric influences and the two primary types of alchemical processing (Red vs. Green Dragon, aka White vs. Red Stones) will be explained, and examples shown of lunar-solar observational rock art sites, petroglyphic encoding and timing indicators. NOTE: The OR-WA-ID occult archaeology field trip focuses heavily on these factors. The "Altar Stone" at the Celebration Park rock art site will be shown to be such a astrological-alchemical artifact from the Indus Valley period. • Rock Art Maps will be discussed. These primitive maps were alchemically encoded using occult ideograms, and describe locations and minerals targeted at different locations near these maps were collected and.or processed on site. An example (the Swan Dam area "map rock" near Boise, ID) will analyzed briefly in the classroom, and students who attend the optional field-trip will be encouraged to survey this map at its in situ location on the banks of the Snake River, ID. This may well be a once in a lifetime chance to personally experience occult archaeology and alchemical field work in progress at sites along the major transcontinental river routes of the ancient hierophant-alchemist-astrologers who entered North America to map the country's resources and to harvest ores, trade, and to teach and initiate the Amerindian tribes into the Occult traditions of the Old World. This field trip follows the research of Dorian Taddei (and associates) that has resulted in an avalanche of new — and as yet an unpublished — series of major discoveries concerned with the occult initiation of Native Americans, and Alchemical sacred sciences as they were actually practiced in the field, both in pre-History, and during the early millennia of the Occult practitioners of Alchemy and Astrology. This seminar-field research trip departs St Oregon, Oregon at 7:00am, Sunday morning (and Portland rendezvous is at 8am) August 3rd, and concludes in Boise, Idaho, at noon, on August 7th, 2013am at Swan Dam, on the Snake River, just south of Boise, Idaho. NOTE: The arrival of the group at Celebration Park is timed with the Lughnasad (as it was known in the Celtic Druidic traditions) astrological cross-quarter day for reasons that will be explained to participants. • The original location (and present-day location of a replica) of one of the most important pieces of evidence supporting Dorian Taddei's seminal theories of Old World/New World occult diffusion and a millennia-long hierophantic initiatory agenda, here in pre-Columbian (prehistoric) North America: the Lyra Stone. • We will visit 2 museums with petroglyphs saved from inundation by rising river waters along the Columbia. There are also numerous photographs of in situ rock art panels as part of the Museum exhibits. • Attendees will visit a single large Altar Stone which exhibits early Egyptian and Mesopotamian alchemical, ideogrammatic petroglyphs that align to light-shadow marks only twice a year: at local sunrise on Beltane and Lughnasad. We will be at this site, cameras ready at local sunrise, in order to document this phenomena. • Local 300º magnetic alignments are common at sites all over the Great Basin and Deserts of North America's Southwest. These alignments that pierce and bifurcate targets and symbolic shaped, and take many forms — from rayed libation grinding bowls to down-field rock-to-rock alignments, sun and moon triangle pointers and shadow fills and shadow edge alignments. 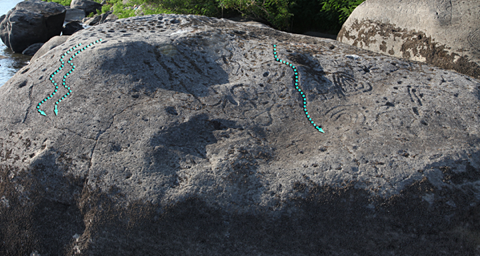 • At Celebration Park the rock art is still in situ (in its original position), and so alignments are common. Two separate alignments are already documented by Dorian Taddei, and this will be studied and documented by attendees, and attendees will be encouraged to attempt to locate other sunset (and sunrise) alignments yet to be discovered. This is real esoteric archaeology, in real-time! Dorian — as well as guest rock art researcher and specialist, author and co-discoverer of numerous sites with Taddei's many expeditions, Carl Lehrburger — will be in attendance. Both these specialists will explain the nature of these alignments, and point out petroglyph types used to indicate both solar and lunar alignments, and will assist in the unveiling of NEW alignment discoveries if any are made. This is a very real possibility. Attendees may well re-discover ancient celebratory alignments that have not been seen in 4,000 to perhaps 7,000 years! This Lughnasad sunset will be one to remember. • An ancient Map Rock will be visited. This rock is the subject of a section of Saturday's seminar, which will prepare students for an up close and personal, in-depth analysis of the Map Rock itself, in situ. This map reveals local terrain, lakes, springs, and mineral deposits, and indicates the ancient local corridor used to travel across the American Cordillera, as it passed through Idaho eastward. at least 6 millennia before Lewis and Clarke, the ancient astrologer-priest-navigators of the Old World passed this way, and modern students of the occult will unveil their travels from the stones of time. on the patinated face of this car-sized basalt boulder. Students will learn to identify indicated features and landmarks in the local terrain. 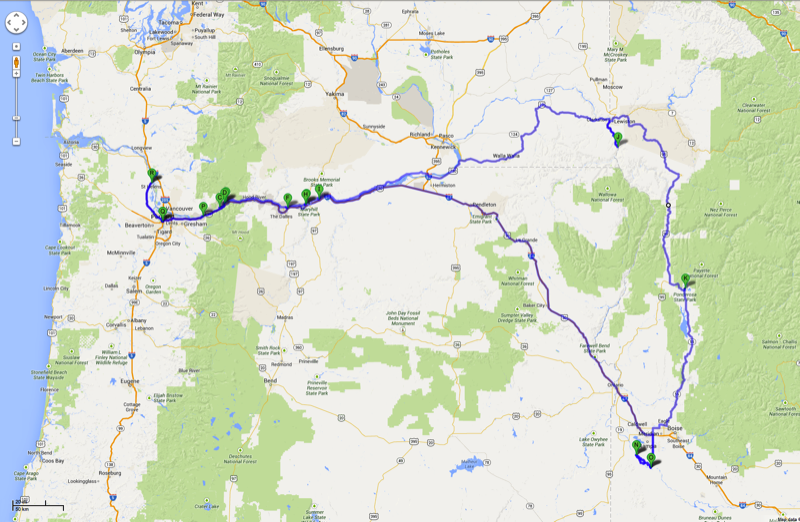 The Itinerary includes one motel stay (Sunday Night), and 2 nights of tent/car camping. Monday night's camp as at a beautiful but well-developed campground with all of the usual amenities (bathrooms, showers and stores), and the last night (Tuesday) will be spent at the dry camping site of Celebration Park. This site has running water and bathrooms, but no showers. Swimming is optional, but is certainly possible, and Tuesday afternoon those wishing to immerse themselves in the ancient traditions will have time to visit a local hot spring for a refreshing dip at a site once used by these ancient travelers (it is clearly marked on the Map Rock). All attendees will be carpooling, and car pools will be established both via pre-seminar communications and also during Friday night's preliminary meeting (6:00pm - 8:00pm) in St Helens, for those who can make it. Itinerary details are available as a PDF file (see button below). Equipment/Supplies lists, as well as other useful information, will be e-mailed to prospective attendees upon request, and automatically e-mailed to your supplied e-mail address upon receipt of REGISTRATION for any WORKSHOP. Our seminal discoveries stem from major breakthroughs in what the polymath and esotericist R. A. Schwaller de Lubicz once called “sacred science.” This corpus of ancient aetheric cosmological and its links to consciousness and Eternal Life, was knowledge that has been passed down since time immemorial, from esoteric initiate to esoteric initiate, through secret, oral traditions, and was also encoded in esoteric ideograms for safe keeping. These ideograms are the basis for most of the petroglyphs and pictograms found pecked and painted into remote ‘rock art sites’ across the earth. This hidden (occult/esoteric) science and its secret language of ideograms — based in a knowledge of the universal aetheric cosmology — was passed from adept to initiate to remote communities across the planet. These ancient practitioners spread their 'sacred science' only via secret oral re-transmission, from adept to initiate down through countless ages. So successful was this strategy in preserving these ancient texts, that many have survived clear down until our time. However, these secrets were subject to phenomena known as “hermetic drift.” As is the case with any language, oral or written, geographical-cultural variations occur over time. In locations far from the Old World, like the Great Basin of North America, idiomatic variations through time rendered the petroglyphic records of these symbols unintelligible to outsiders. However, most retain the basic topographic features and meanings originally encoded into them. Dating back at least 22,000 years before present, these symbolic marks are the oldest recorded information database on Earth. Medieval and Renaissance alchemists and astrologers based in Europe, some well connected to sources of information from the Orient, produced secret charts of symbols recording these ideograms. Thanks to this bridge through time, the actual meaning of some of these with us today, making decipherment of many rock art sites possible. By assembling these tables of symbolic correspondences, and transliterating symbols backwards through the millennia to the megalithic age and beyond, Dorian Taddei has been able to decipher the encoded messages left at rock art sites created before the dawn of historic civilizations. This breakthrough forms the basis of much of the re-discovery of occult history covered in these seminars. Initiates into occult orders were culled from all major civilizations world wide, and were taught sacred alchemy and astrology by hierophants whose knowledge enabled their global transoceanic travels. As healers, builders and the architects of civilizations, their secret, sacred science is literally the stuff of legends. The Magi are one case in point, and were revered (and feared) far from the base of operations in the highlands of Iran. It is this hidden (or ‘occult’) science that lies a the root of all of the world’s greatest mysteries, and natural phenomena. in order to fully illuminate these secrets, Dorian Taddei will present a series of lectures including multi-media elements, live demonstrations, and seminars will include occasional guest speakers where applicable. This series of ground-breaking presentations will reveal the true depth of the great Aranum — the core sacred scientific knowledge at the root of the ancient esotericism, hermeticism, alchemical and astrological sciences, and reveal to the world the true nature of the fabric of space itself, known variously as the Akasha (India), Soph or Sophia (Egypt), the Aether (Greece), etc.